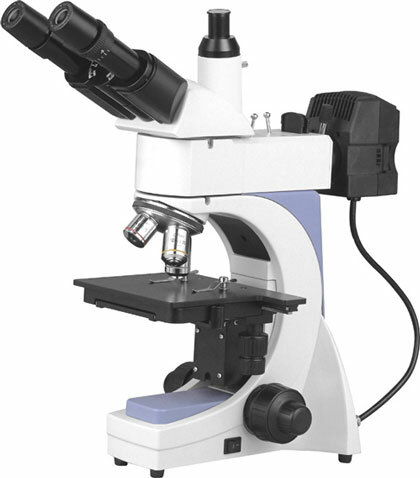 The MM-02010 trinocular metallurgical microscope is ideal for research institutions, factories and educational institutions. The microscope can be used for studying metallography, heat treatment, ceramics and other areas requiring high magnification and reflected light analysis. High magnification objectives with long working distance (up to 3.7mm with 40x objective). Magnification range of 40x to 400x standard, up to 800x with optional lens. Ergonomic and comfortable operation with low position control knob. Triangular structure makes the instrument very steady and saves working space. Infinity plan achromatic objectives: 4x, 10x, 40x standard. 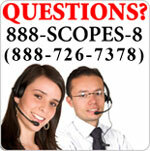 Optional 80x available. Cross table mechanical stage: 150 x 140mm; Movement: 75 x 50mm. Illumination: Kohler, epi-illuminator with iris aperture diaphragm and iris field diaphragm. 120V/6V 20W halogen bulb with adjustable brightness. Includes filters: blue, green, yellow and ground glass. The MM series includes a C-Mount adapter for the third optical (vertical) port. A C-Mount allows you to attach various microscopy cameras.